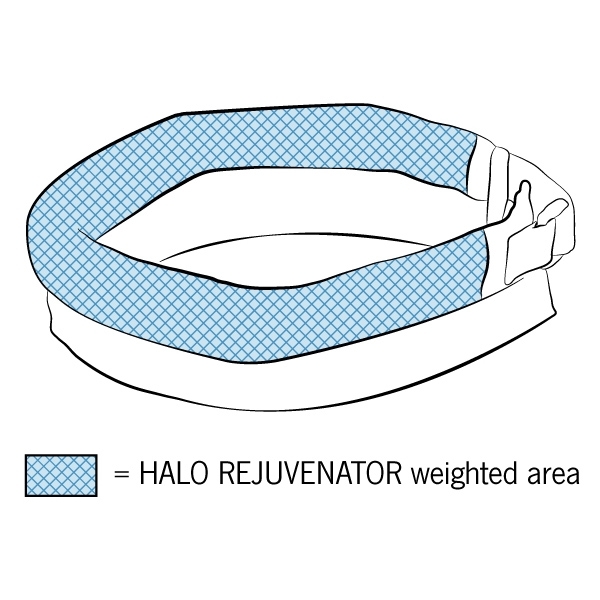 The HALO REJUVENATOR evenly distributes one pound of weight around the entire circumference of the headband. The HALO POSTURE*, available to professionals only, places weight on only half the circumference. Wearing a HALO headband and performing simple exercises or just maintaining a neutral position of the cervical spine "teaches" the user's proprioceptors how to properly hold the neck. 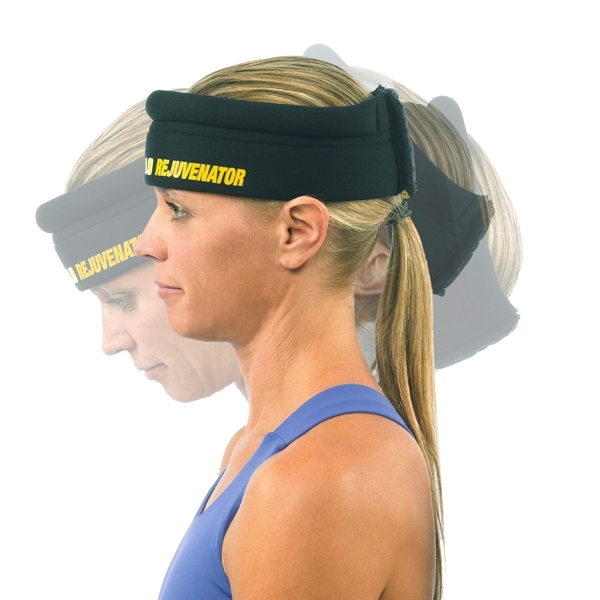 HALO headbands help correct posture and help relieve neck pain and/or headaches associated with improper sitting habits. Includes 32-page instructional manual and a four-pack of disposable sanitary headbands for multi-user environments; sanitary headbands also available separately in a 48-pack. *Sign in or register as a professional to learn more about HALO POSTURE. By wearing a HALO headband and maintaining neutral neck posture, or performing simple exercises, the user's proprioceptors begin to re-learn how to properly hold the neck. This posture correction can undo damage caused by years of improper sitting habits, as many people exhibit in front of a computer, and relieve the associated neck pain and/or headaches. 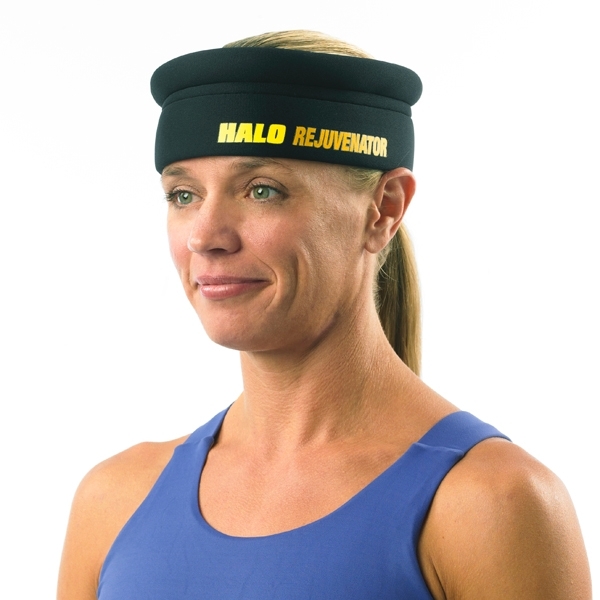 This gentle strengthening makes HALO headbands ideal rehabilitation tools. 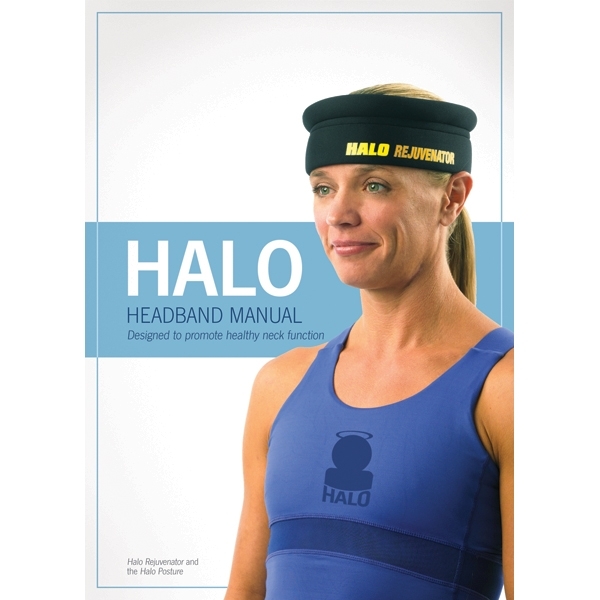 Each HALO headband includes a 32-page manual that guides users through proper positioning and exercise for neck posture, strengthening, end-range loading, stretching, neural mobilization and balance training. Includes four-pack of disposable sanitary headbands for multi-user environments; sanitary headbands also available separately in a 48-pack. "I love this product. Typically, the patient’s health club has no 'neck machines' and, clinically, the neck is the most difficult area of the body to design specific exercise for in-office practice. This exciting exercise device permits a wide range of exercise to develop and advance patient-specific protocols for postural correction, strengthening, muscle and nerve stretching, reducing derangements and promoting proprioception!" "As a physician who works with many patients suffering from prior concussions or brain injuries, as well as chronic neck pain and headaches, I often find a relative deficiency of proprioceptive (position) awareness of the head and neck following prior trauma, which then impacts posture, breathing, and chronic muscle tension. 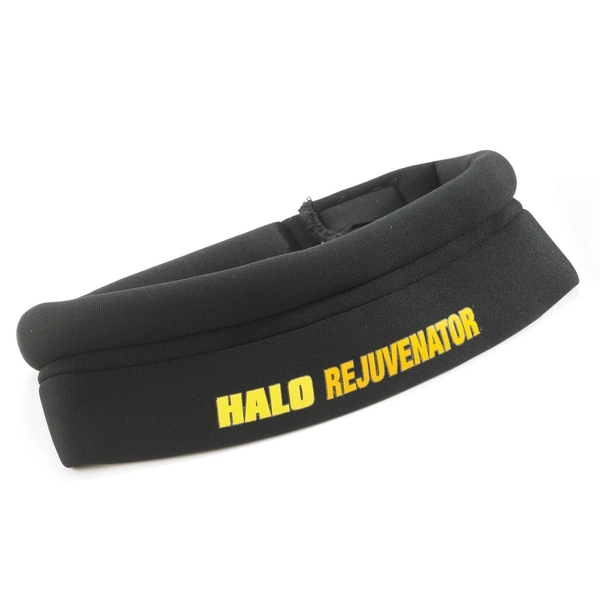 For the proper patient, the Halo Rejuvenator helps to provide that normal and crucial feedback to the brain, and significantly improves the balance and postural re-training which we are performing. These functional improvements impact and reduce symptoms in a long-term and sustainable fashion." I highly recommend the Halo Posture. I’ve incorporated the Halo Posture into clinical practice as an adjunct to traditional manual therapy and exercise for my patients with thoracic pain/neck pain related to poor posture (more specifically, forward head posture). It has contributed to successful outcomes with regards to lowering NDI scores, lowering pain on a VAS, and improving postural awareness and control. I utilize it for traditional PRE strengthening of neck musculature via performance of chin retraction in quadruped or prone over a ball. I also utilize it for NMR by asking the patient to maintain ideal cervical alignment while wearing the heaviest tolerated anterior head weight and performing Theraband scapular exercises, cycling retro on the UBE, or balancing on dynamic surfaces/pertebating those surfaces.